Rumble / Priceless Moments - We truly believe that a true friend lives paw prints on your heart. Sometimes the only person in our house who seems to understand dogs are babies and vice versa. They cuddle, they have conversations and they’re best friends, and it’s pretty obvious from this video these two, in particular, have a very special bond. Anyone who has had a dog will tell you that they will always have a special place in their heart for their furry friend. These two little buddies are true friendship goals! The time they spend together is priceless! 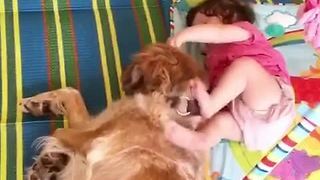 This little boy and his doggy have so much fun together! Caution: Addictive laughter! 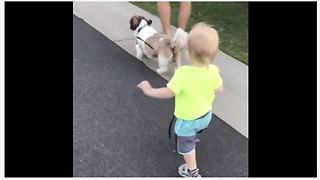 This cute boy and his dog have so much fun it makes you want to be part of their group! They are so adorable! 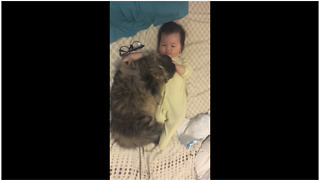 I think this video just might take the crown for cutest video on the Internet right now! 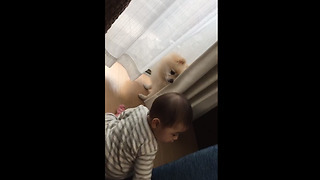 What could possibly be any cuter than a baby getting some serious fun time with his best four-legged friend who is the most incredible duo ever? 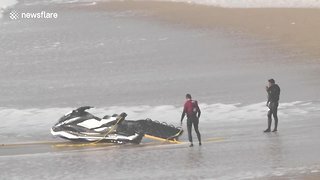 We can truly say nothing! 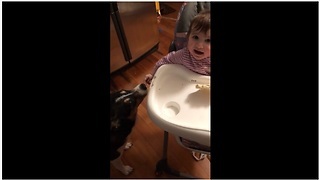 If dogs could talk, this dog would say that he really love this baby boy and that he loooves spending time together! First off, how cool would that be if your dog could talk? And secondly, how much more meaningful would that make your friendship? These two buddies are just so adorable! 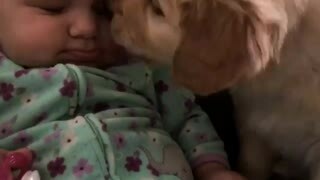 If you love to see videos like this adorable double trouble , check out this adorable duo baby and dog show love for one another !